CAPA’s Fall Fundraiser from Mixed Bag Designs is the time to find great gifts for the holidays and useful items for yourself. In addition to the recycled poly tote bags we all love there are now canvas totes, more gift wrap and a whole catalog of home and kitchen items! The sale will run October 13 and run through November 10. Order by catalog – 50% to CAPA! See your chapter delegate for a catalog and order form. Orders and checks should be turned in at our November 10 meeting or mailed to Alison Borodkin to arrive by Nov. 10 in order to ensure that your items arrive in time for holiday gift giving. 50% of the purchase price of anything ordered from you will go to support CAPA programming and scholarships. These items will ship for free and the Ways and Means Committee will arrange delivery so you get everything in time for the holidays. Order online – 40% to CAPA! 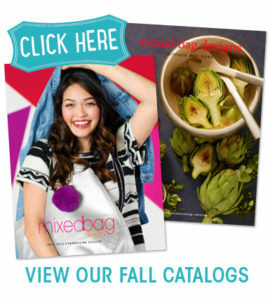 You can also place orders online at www.mixedbagdesigns.com/?fundraiserid=347779. CAPA gets 40% of the purchase price of all online orders. Make sure our ID number (347779) is added at checkout!